You may not have realized this, but I have added a font upgrade to this blog. For $30 a year I can have custom fonts. I think it’s worth it and I like the look. They can be changed easily at any time and along with the font style I can choose a size. I hope the fonts I chose are easy to read in the posts. The script for the header and titles is a bit different, but I like it. 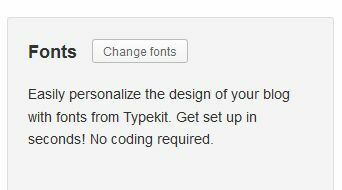 If you are considering doing this to your Word Press blog, find the custom fonts option under “appearance” and “custom design” in the dashboard area of your blog. It may be nice to make reading your blog easier if you have a lot of visitors. Next Post Deadheading Old Hydrangea Blooms: What Time of Year is Best? I bought a hydrangea yesterday. Reading all of your hydrangea articles and posts is what motivated me. What kind did you buy? I threw away the label. Thought hydrangeas were all alike. lol! Haha… read my blog woman!